The War on Drugs, he writes, has resulted in the unjust jailing of men of color, the enriching of violent cartels, and the blocking of effective treatments for cancer, epilepsy–especially childhood seizures–and Alzheimer’s disease. When marijuana is legal, he asserts, crime goes down, suicide rates fall, health benefits are experienced, and tax revenues rise. Unlike other books about pot that are sprouting like–excuse the word–weeds, DeAngelo cites studies and references for the assertions he makes. He explains how marijuana fights cancer, and shows that it’s a safe alternative to alcohol, painkillers, and surgery. He believes it should be called a “wellness product,” not an intoxicant, because, among other benefits, it can facilitate compromise and understanding, “awaken a sense of wonder and playfulness…. enhance the flavor of a meal, the sound of music or a lover’s touch,” and inspire creativity. DeAngelo’s personal story is compelling: born into an alcoholic family, he dropped out of school at 15 to join the Yippies, organized smoke-ins in front of the White House, started businesses, went back to college for his degree, and in 2006, co-founded the Harborside Health Center in Oakland, CA, the largest medical marijuana dispensary in the country, with more than 200,000 patients. It sets the gold standard for the industry, testing all products for safety and potency before dispensing them, and offering its patients free classes, support groups, and alternative healing treatments like acupuncture and chiropractic. 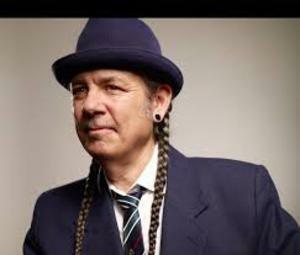 DeAngelo is instantly recognizable, wearing long Willie Nelson braids, an earring and mustache, along with a suit and tie and black bowler hat. He speaks with both fierce intelligence and gentleness, and has learned to create businesses that make money while exemplifying social justice. In an interview, I asked him how the Harborside staff can advise patients on how much and which marijuana products to take for specific medical conditions. He said the scientific data doesn’t exist yet, because, until recently, it’s been illegal to conduct research and double-blind studies. But his staff can share what they’ve learned and observed by working with patients for nine years. The Cannabis Manifesto asserts eight truths, the last of which is: “Legalization cannot and will not be stopped.” DeAngelo expects pot to become federally legal after the 2020 presidential election. “I don’t think any candidate will take this on in his first term,” he said. But given how many U.S. senators and representatives are coming out in support of it, I’m inclined to think it may be sooner. The Cannabis Manifesto has the power to speed the process.